YOUR Music Official Blog: CONTEST - Signed CD from W.E.B. 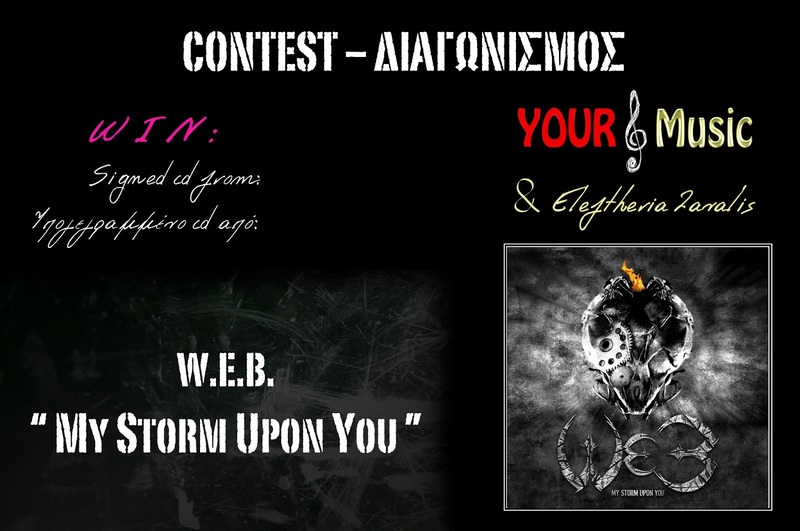 Win a signed cd from W.E.B. "My Storm Upon You"!!! Κερδίστε ένα υπογεγραμμένο cd από τους W.E.B. "My Storm Upon You"!!! The winner will be announced on the: April 3rd 2013, in the blog and the facebook pages above. Ο νικητής θα ανακοινωθεί στις: 3 Απριλίου 2013, τόσο στο blog όσο και στις παραπάνω facebook σελίδες. ekana like kai sta dyo!!!! !oi w.e.b einai mia tromeri band !! !